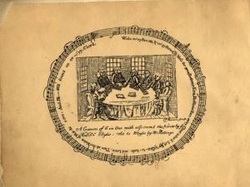 First presented at The New York Public Library for the Performing Arts by Music Division Chief, George Boziwick in 2005, this presentation traces the origins and migration of the shape note singing tradition throughout the early American colonies and into the western and southern states. Audiences will experience an 18th century singing school and through the extraordinary holdings of the Library's Music Division, participate in a living American singing tradition that has been passed down for generations and whose musical style is still imitated today even by composers of contemporary concert music. First published in 1844, The Sacred Harp evokes the rich musical "democratic" atmosphere that informed the original spiritual and social gatherings of the eighteenth and nineteenth-century, and continues to do so in Sacred Harp “sings” around the world. 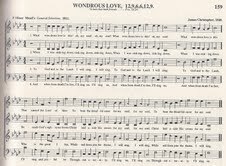 Wondrous Love from the Sacred Harp, 1991 edition.